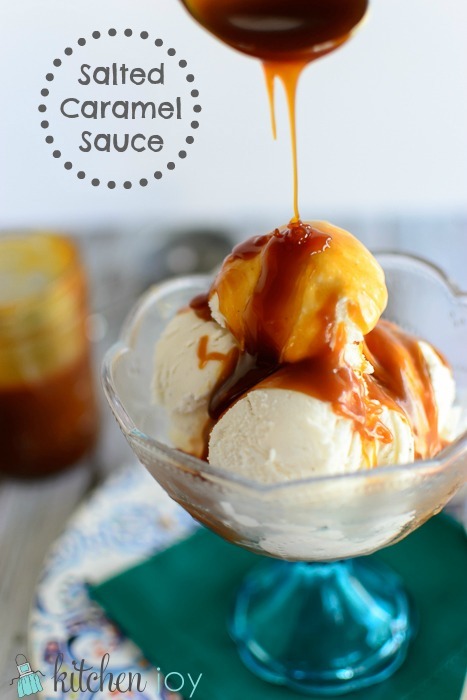 With all of the ice cream toppings I could dream of, I always, always, had vanilla ice cream with caramel sauce on top. For a long time, I only ever ate that combo at their house. Now, many years later, both Grandma and Grandpa have been gone for several years, I still get a flashback to my days as a 6 year old with dripping wet hair sitting at my little folding table in the freezing cold air-conditioned basement eating ice cream and listening to Grandpa tell us war stories. 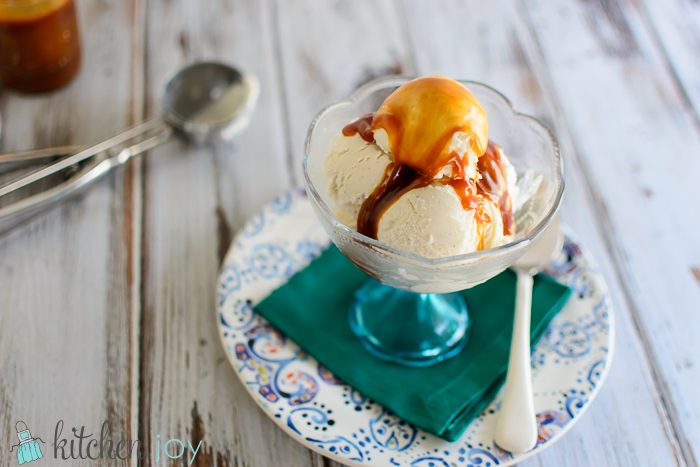 Vanilla ice cream with caramel sauce is, and always will be, a very special treat for me. It seemed almost necessary for me to try making some great homemade salted caramel sauce myself in honor of them. I feel like Grandpa would get a kick out of this little blog project of mine. 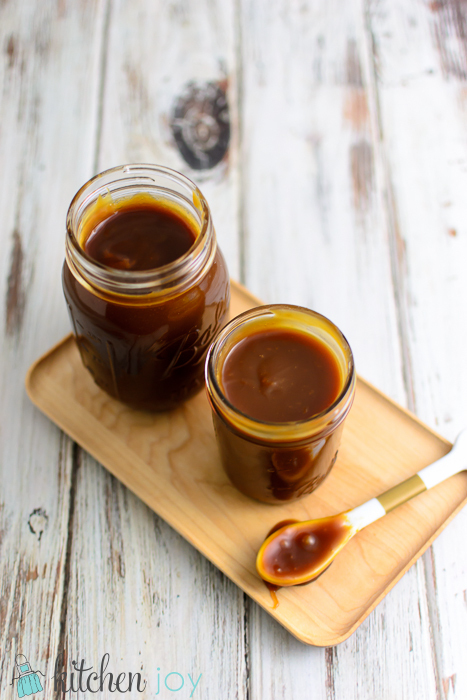 This Homemade Salted Caramel sauce is a cinch to make as long as you don’t get distracted and let the caramel burn. Watch closely and stir frequently. That’s all there is to it. The darker in color that you cook the caramel, the more nutty flavor you’ll end up with. I like mine a bit on the dark-ish caramel side when it tastes like the caramel on caramel popcorn instead of the caramel sauce that is sold as an ice cream topping. It’s totally up to you though. If you want a more subtle flavor, just cook it a little bit less so that it is a lighter shade of caramel color. Whichever way you choose, you’re in for a treat. Add the butter and continue whisking constantly until all the butter has completely incorporated. Remove from heat and whisk in the cream and the salt. Stir until completely smooth. Allow to cool to room temperature, then divide into mason jars. Store refrigerated for up to 4 weeks.